For the best part of this year and most of last year, the new buzz word is Web 2.0. Web 2.0 has come to represent a new generation of web technologies to the developers and the social community alike. Web 2.0 while representing large fonts and bright colors and curvy corners, also ushers in a new age of standards such as CSS, XHTML, data transfer and sharing standards like XML and accessibility standards for the visually impaired(remember the Target fiasco). There exists this delicate balance between creativity and supporting standards and this is hard to achieve and for the longest time, one tool has dominated the web design and development world was Macromedia Dreamweaver. Adobe scooped up Macromedia and trying to drive the next generation web development through further upgrades of Dreamweaver. It seems that Microsoft got tired of relying on FrontPage and is actually going after professionals.Microsoft finally drank the Kool-Aid. 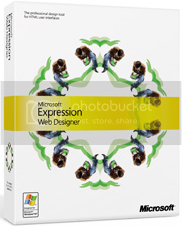 Now, Microsoft has entered the arena with Expression Web Designer which walks the Web standards walk. But is it a worthy competitor or just a new technology out there? We at Askstudent looked at the latest beta release(CTP) of Expression web designer and perform a comparison of Microsoft’s product with Adobe Dreamweaver 8, the latest stable release of Dreamweaver. You can download the latest Beta release of Microsoft Expression Web from Microsoft’s Expression Site. I installed this with my OS as Windows Vista RC2 and I was running the Office 2007 Beta 2 Technical Refresh. The only thing you need to take care of is if you did not upgrade to technical refresh of the Office 2007 version, you might want to do so. Also, you need to download and install .Net Framework 2.0, but , if you have Vista installed, Framework 2.0 is already installed. Downside: There is no OSX version which is negative as most of the web design community tends to use an Apple machine. However, with Bootcamp, this problem can be mitigated on an Apple machine. Again, Microsoft’s expression is Windows only and according to Microsoft, there is no planned release for OS X any time soon.